Oswald Chambers was born in Scotland in 1874 and was educated at London’s Royal College of Art and the University of Edinburgh. Although gifted in the arts, he felt at the age of 22, that God was calling him to become a minister. After studying and later teaching in a small theological college in Dunoon, he moved into a preaching ministry that spanned Britain, America and Japan. 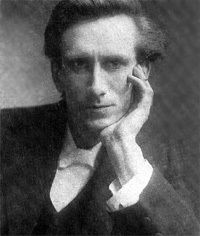 In 1908, Oswald Chambers boarded a ship bound for America. He had been asked to look out for a young lady, who was also travelling to America in search of work and adventure. Gertrude Hobbs (later to become Mrs. Oswald Chambers) suffered annual bouts of bronchitis as a child. She left school early to help her mother at home, and to allow her older sister and brother to continue their education. She studied Pitman shorthand and by the time she was old enough to work full time, she could take dictation at the phenomenal rate of 250 words per minute – faster than most people talk! Now in 1908, she was on a ship bound for America and she was getting to know a man who intrigued her. When the voyage ended, they parted company, but began to write to each other. They soon realized that they had deep feelings for each other and eventually they married in 1910. 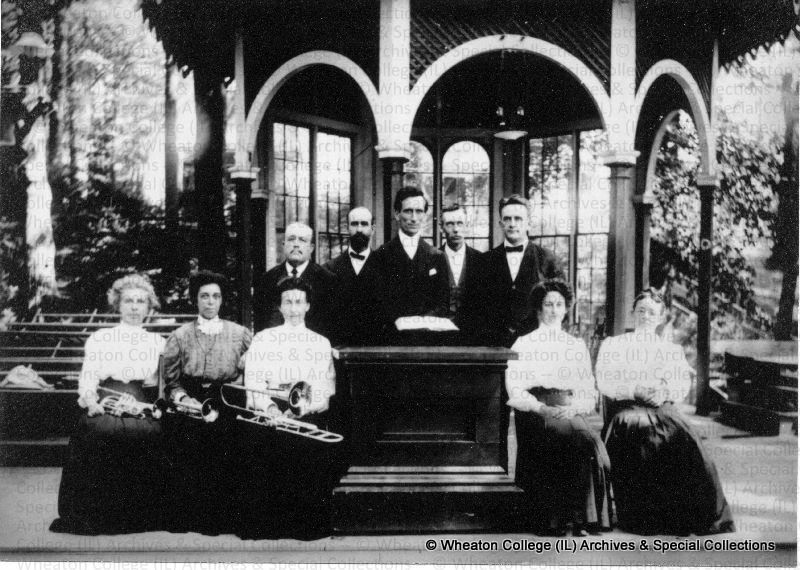 Although they both felt that it was God’s will for them to begin a Bible College, initially it seemed that this was not to be. Oswald took many regional classes, and as Biddy (Oswald’s pet name for his wife) took shorthand notes of his lectures, they realized that they could at least offer correspondence classes. However, in early December 1910, a large house became available on Northside, Clapham Common, London. Things moved rapidly and within a very short time, Oswald and Biddy moved in, ready to welcome the first resident students. Biddy also welcomed many missionaries and visitors to her home, which was always open to those who needed rest and recuperation. She was to continue with this ministry for most of her life. Hearing God’s call on the matter, he left London to become Chaplain to the troops in Egypt in October 1915, and Biddy and their 2½ year old daughter, Kathleen, followed in December 1915. 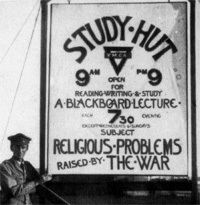 Biddy soon took up her ministry of hospitality and Oswald continued his teaching ministry to the troops. At first skeptical, the soldiers soon began to love and respect the Chambers family. 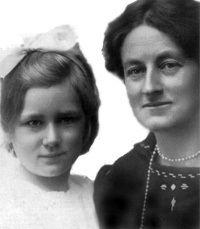 Biddy returned to England with her 4 year old daughter, Kathleen. She finally settled in London and began the painstaking work of transcribing her notes – taken during her husband’s lectures throughout their married life. She began to send out the transcriptions to friends and acquaintances – anyone who asked. The pamphlets were combined into book form and eventually Oswald Chambers Publications was born. “My Utmost for His Highest” was first published in 1927, and has remained continually in print ever since. Thousands of people have been blessed and challenged as they have regularly read this daily devotional. Biddy died in 1966, knowing that she had fulfilled the ministry which God has entrusted to her. Oswald Chambers Publications Association seeks to continue that ministry. Biddy and Kathleen lived in Muswell Hill, London and after Biddy died Kathleen continued to live in the same house until her death in 1997. The house was constantly filled with visitors. Kathleen chose nine months of quotations for the book Run Today’s Race; her mother had started this shortly before her death. Kathleen was a great encouragement to the Trustees of the Association and the work continues today much as she would have wanted.